Here in Korea, our burritos come in the mail! 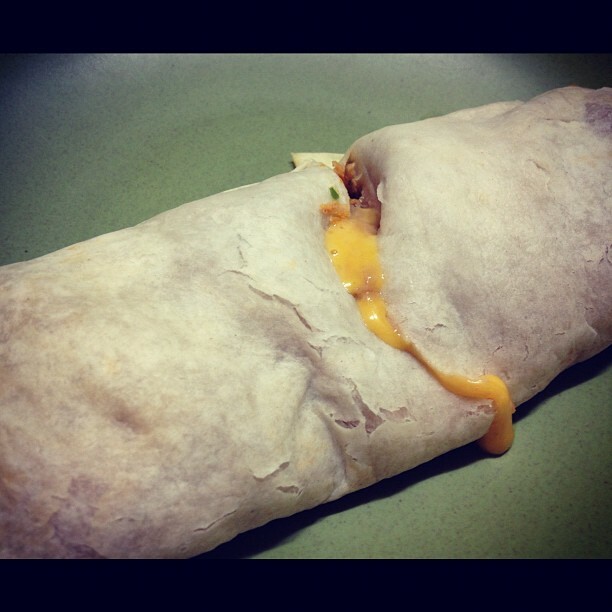 I have a thing for burritos…except I call them tacos. I call anything that looks vaguely Mexican and is wrapped in a tortilla, a taco. For no reason, other than I like saying the word ‘taco’. I think my limited, only in Korea, exposure to Mexican food probably has something to do with this. Taccooooooo. Taaaaacoooooooo. See how lovely it is to say! Nachoes: Well, I know what a nacho is. Some of you may remember me writing about Tacocopter a while back. 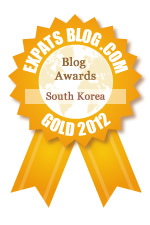 Of course, Tacocopter isn’t actually real but luckily for Korea, Gringos is. Like all the best things in life (vodka, The Canadian One, that I cannot sing and shouldn’t attempt it), I discovered Gringos while drunk…or well, semi-drunk. I was guarding (read: hovering around annoyingly) the entrance to a live music bar where The Canadian One was stamping patrons and handing out flyers. I took a flyer to look ‘busy‘ and thus, I discovered Gringos! Here’s how it works: Based in Ilsan, two guys, Mike and Mark, started a business in the hopes of revolutionising Mexican food in Korea. The story goes, feeling a need to save the ex-pat community from lackluster Mexican food, our fearless duo set out to prove if want something done right, do it yourself. They make all the burritos from scratch using fresh ingredients and their own personal, tried-and-tested-and-tested-again recipes. So, what makes this different from Dos Tacos (down the street from me, a literal 10 minute walk) I hear you ask? Well, they taste better, aren’t full of random lettuce (why, Dos Tacos, WHY??) and don’t seem to have an oddly inconsistent amount of pico de gallo on them. Oh and also they come in the mail. First: You log into their website and place your order. You need to order a minimum of 6 items which comes to 30,000won. The Canadian One and I ordered 6 burritos (2 of each type) and a pot of chili. The Chicken Burrito containing refried beans, Mexican style rice, melted cheddar cheese and Gringos own spicy slow cooked pulled chicken. The Breakfast Chorizo Burrito containing chorizo, cheddar cheese, salsa, hash brown potato and scrambled egg. And finally, The Veggie Burrito containing seasoned tofu, Mexican style rice, a veggie version of the refried beans, cheddar cheese and an onion/cilantro/chilli pepper mix. Next: It asks you if you have any special requests to go with your order. Now, as you all remember from this post, The Canadian One is diabetic and filling him with rice and burritos isn’t the best idea so I wrote to ask that in one of each burrito I would like the rice taken out. Next: You receive an email confirming your order and then a follow up email regarding your special requests. I explained about not wanting rice because of The Canadian One’s dietary requirements. They offered more beans instead and pointed out that The Breakfast Burrito has no rice, just potato and should that be taken out too. Good catch on their part and I declined the offer of more beans but took up the offer of no potato. We were told it would be made and mailed the following Tuesday, arriving Wednesday morning. Now, Korea has an interesting system called Taekbae in place. Taekbae companies (택배) are delivery services that can ship anything within Korea for a low low price, usually around 5,000. When I moved apartments, I packed everything into the BIGGEST boxes the post office could offer and Taekbae’d them to the new apartment at 5,000won each. A simple system whereby the Taekbae dude comes, picks up your package/box/item to be delivered, you give him the money, he takes the item and delivers it to the desired location. The only problem with the system is he calls before he delivers…and I don’t speak Korean. I got a text in Korean which my phone translated so I knew the burritos were arriving. Luckily, I was at school when he called and my co-teacher gave him directions of where to leave our box. 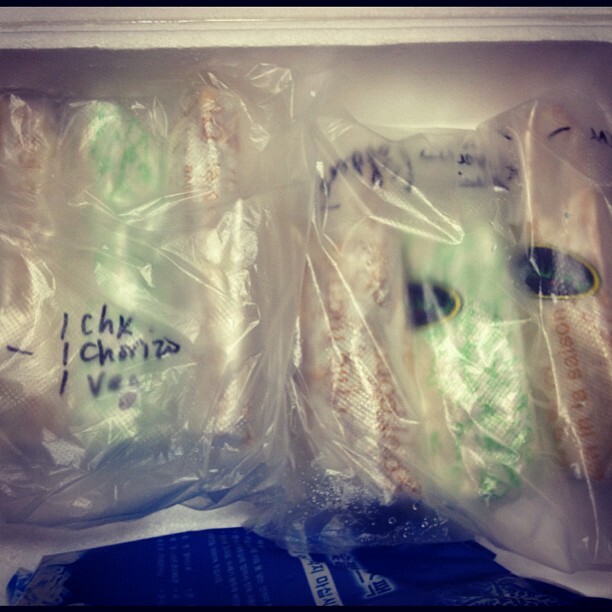 And so the burritos arrived. Frozen, vacuum packed and mailed overnight, they arrived at 11am and I found them sitting outside my apartment when I got home. 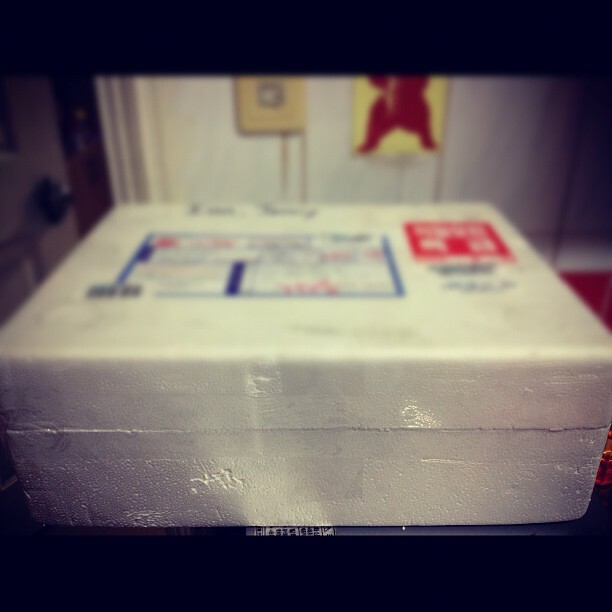 I quickly unpacked the box to discover a cold pack and my still slightly frozen burritos inside. Mine and The Canadian One’s were packaged separately to avoid confusion and they were clearly labelled with a sticker….which I discovered, after I cut them open to see what was inside. Ok, so they forgot my chili but after a quick email exchange, a refund and a free chili next time I order were offered and I considered the matter sorted. 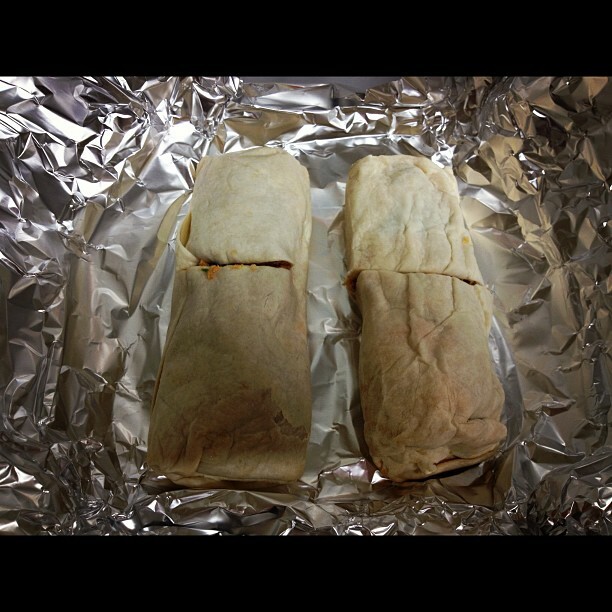 Following the website’s cooking instructions, I unpacked my burritos (refrigerating the other burritos), placed them on foil, wrapped them up and popped them in the oven for 45 minutes. The Canadian One returned home and cleaned the kitchen while I sat on the floor making him tell me fairytale stories he learned in kindergarten class that day. There was one about a half-chicken that became a weather vane. No, seriously! The oven pinged and burritos were a go-go. Armed with the salsa and sour cream we had in the house leftover from last week’s Fajita Bonaza, we set out to take our first bites of our mail-ordered burritos. Pleasantly surprising, not too spicy and, most importantly, authentic tasting, I’d highly recommend The Chicken Burrito…and The Breakfast Burrito I ate for lunch today at school. The smooth cheese mixed with the rice and spicy chicken made my burrito an each-bite different-taste experience. For anyone who’s been in Hongdae late at night and succumbed to spending 4,000won on a street kebab, save your money, order in advance from Gringos and have a delicious burritos waiting for you in your fridge when you get home. Reheat at home for whenever you want. Take to school for lunch thus avoiding the mystery dishes the school serves. Cost 5,000 per burrito with a minimum order of 6 and 7,500won shipping. Come on, a for-what-passes-as-a-sandwich will cost you the same from Paris Baguette or insert other bakery name here. If you don’t live in Seoul and are nowhere near a burrito place, this business was made for you! Tired of eating the same food each night? 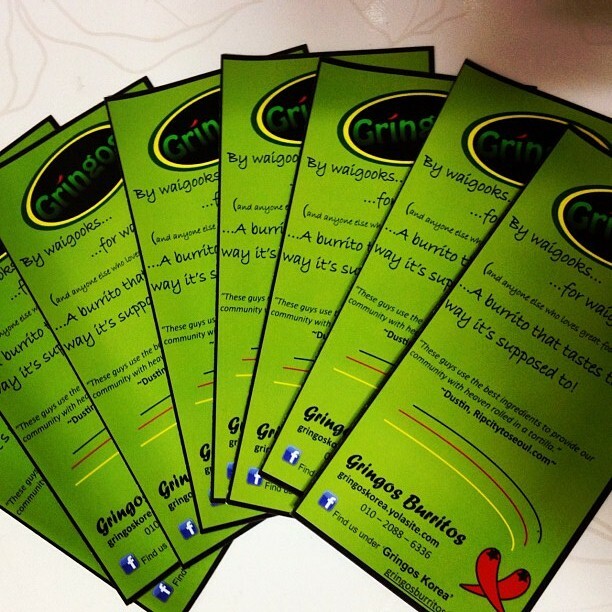 Email the Gringos boys and within a week (to ten days) you’ll have six glorious burritos to eat by yourself or share with friends. If you live in Ilsan, they deliver. They respond to emails quickly and efficiently. No faffing about when it comes to your specific requirements regarding the burrito. Want it not too spicy? – done. Want it less carby? – Done. Want it to come with a free kitten? – Ok, maybe not….but you can always ask nicely. Takes 8 days to come to the house so if you want a burrito RIGHT NOW, tis not possible. Also I spent the entire day worrying about the burritos melting…it didn’t happen so I know not to worry next time. With their 6 order policy, we now have six burritos to eat over the course of three days (my three day rule for defrosted items comes into play here), which is fine but next time I think I’ll order four burritos and two sides. Although, you can always share with a friend. Dealing with Taekbae can be confusing if you don’t speak Korean but generally, I’ve never had any problems with them and my stuff usually arrives without the need to involve my co-teacher. I just happened to be standing in the middle of her classroom at the time. Does not come with free kitten. I spent 2 years living in Korea in the late ’90s. I would have sold my first born for badly made Mexican food; but there was no such thing.